I was heavily pregnant when we rented our storage shed last year. I found the staff to be lovely and very accommodating and did their best to offer me a ground floor shed. They also went above and beyond in assisting me with a piano removalist. Storage King Landsdale is a great new facility. It’s clean and pest control is done frequently which means no rats/mice and your property doesn’t get eaten by anything nasty or filled with spiderwebs! I highly recommend these guys!! They make things so easy - everything you need is available - with quick turnaround time. I've used them for years now! After making the decision to downsize, pack my house and move out (in a rush) my friends packed my house and made enquiries for me as I wasn’t able to at the time for storage options. The level of professionalism, sensitivity, flexibility including the un foreseen such as how much space we might need and assistance with setting it up in my friends name then transferring to my name was just and effortless transition because of the team at Lansdale Storage King. Any move is hard but at least the admin side, practical side and cleanliness/safety and peace of mind was taken care of in regard to Storage. My life is literally on hold in storage and ready to be picked up when I am. Being able to easily access things when I need and know that it is safe and secure is peace of mind you can’t purchase. One extremely happy customer here! Hello Mark, thanks for the positive feedback! We're always happy to hear good things from our customers. Staff are great, they are easy to use and find. Never had an issue accessing our unit. We’ve been using these guys for the past 4 years nearly and not one complaint. I looked around also and apart from price they were by far the most helpful. Highly recommended. Staff very helpful and friendly, excellent location, easy access always clean. Good security! I organised storage of a car with them. They handled it all via email, and customer service was very helpful and accommodating. Then a friend dropped off the car and it’s all gone smoothly. Very grateful to have this all taken care of so easily. Have had my furniture stored there for 9 months. Easy sign up. Easy reminders for fees. Affordable. Tidy premises. This has been a great storage facility. I have had my extra things kept at Storage King for almost a year. They helped me with great rates and gave really friendly service. I have been using lansdale storage for nearly 2 years now, they have been wonderful, from having all the packing materials i needed to being able to answer any question i have it is a very secure property and i would recommend to anyone looking for short term or long term storage. We have had nothing but pleasure dealing with the staff at Storage King Landsdale. Very pleased with the attention to detail from start to finish, including the layout of the yard and price of our ground level unit. 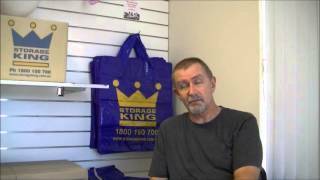 I have been storing with Landsdale Storage King for almost two years now. They have always been very friendly and helpful. Being able to utilise the truck when filling my storage locker was extremely helpful! Friendly and very helpful staff. Was able to book and use the truck on the same day which made the move a lot easier and quicker. Great facility in a perfect location. Staff are very friendly and respond back to emails quickly. Great prices for storage. Been renting for a year now. Fantastic, efficient service. Great price and really helpful staff. Will lend you truck for a full day. Excellent Service, Great Location for when we are in the area. Highly Recommended. Lisa was great in helping me downsize my storage unit and to organise the discount offer immediately, so that I would be charged the new rate instead of the automatic previous rate . Storage facility is clean and accessible and absolutely secure. Staff members are friendly and helpful. Friendly and helpful staff, good location with easy access and very clean and secure locker units. Fantastic/patient staff with awesome customer service skills. Spaces great value for money, well maintained and incredibly clean! Highly recommend Storage King Landsdale! Well ... I have no hesitation in recommending the team at Storage King Landsdale. Right from the very first day I needed to store my goods, the management team have been very helpful & even when I hit a couple of payment hurdles along the way, they've always been understanding and empathetic so as to ensure all is sorted. If you've got goods to store, do not hesitate to use these guys - they're great!!! I had my storage unit with Storage King Landsdale almost two years now, very pleased with friendly customer servise. It is a great facility with very friendly and helpful staff. The facility is very clean and well run at reasonable prices. With the use of the free truck to help move in was a real bonus! The staff are very helpful,the place is so clean and very affordable. Very happy with the easy access, cleanliness and friendly staff! Great company, very easy to deal with. A great, clean and accessible storage facility with competitive rates. We were able to obtain a clean secure unit at short notice for a great price with a great deal on the moving truck. Definitely one of the better storage companies around. The staff are awesome. Very professional and friendly. They've offered wonderful assistance and good advice. Thank you so much. Great facility, very friendly, helpful staff. The use and access to a truck to help move in and out was a bonus and at a reasonable price. The place is very clean and and well run. I would recommend them to all. Nice Work. We are are using Storage King Landsdale as we are in between houses and have been very impressed with their clean & new facility, friendly staff, great value pricing and the complimentary moving truck was a huge bonus! 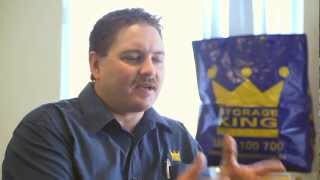 We highly recommend Storage King Landsdale! Great new facility. Friendly professional service. Storage King even accommodated me with very short notice. Best of all is their competitive price! To make it even easier we have preferred removalists all of whom have extensive experience and offer excellent service. We have a box shop that we have stocked at all times so if you need packing supplies like wrapping paper, boxes, tape, bubble wrap, plastic covers for your furniture plus more, we have it all here. The best part is you can order online through our online box shop. Simply order over $100 worth of boxes and we will arrange free local delivery, easy. With great access, we aim to make your moving experience as easy as possible. Storage King Landsdale has excellent security with 24hr CCTV, pin coded access, perimeter beams, sensor security lighting and monitored alarms. So why not jump on the phone or flick the team at Storage King Landsdale an email and we will get in contact with you to discuss your storage requirements today. We look forward to hearing from you soon. Storage King Landsdale is a new facility that offers "Simple Storage Solutions" for residential and commercial clients in the Landsdale, Wangara and Malaga area. We cater for all wide variety of storage solutions from a whole house load of furniture while you build or are in between rentals to simply storing your valuables while you sell your home. If you're a business then we can help you with your archival storage or if you have excess stock that needs to be stored with easy access we can help. With units ranging in size from a small room through to 5 bedroom house size we can assist in helping you store your excess stock or office furniture. Storage King Landsdale proudly services Wanneroo, Wangara, Darch, Madeley, Alexander Heights, Marangaroo, Greenwood, Kingsley, Warwick, Mirrabooka, Balcatta, Duncraig, Koondoola and Malaga.